More than $1.3 million in tax refunds to community members through EITC efforts! In response to this need, Partners for Health Foundation partnered with New Jersey Citizen Action and United Way of Northern New Jersey for the second year in a row to provide free tax preparation services to make it easier for community members to take full advantage of tax credits that are due to them. New Jersey Citizen Action Education Fund (NJCAEF) worked out of the Bloomfield Public Library and coordinated weekly tax preparation appointments. They provided free tax preparation services on designated days throughout the 2017 tax season and prepared returns for 226 individuals and families. In total, $560,041 in refunds were made, with $148,648 in federal and NJ EITC! United Way of Northern New Jersey engaged both a Community Outreach Coordinator and a Savings Specialist in suburban Essex County to increase awareness of and access to their Free Tax and Savings Program and to help low and moderate income local residents set savings goals and become savers. The Outreach Coordinator built on the work begun in 2016 to reach out to businesses and organizations in non-profit, healthcare, housing, government, child care, and faith communities. These outreach activities resulted in a 5% increase in returns completed at their Montclair location. Of the 661 clients who received free tax preparation services through the United Way, 133 clients received EITC. Combined, these programs resulted in refunds totaling $817,379, with $240,652 in federal and NJ EITC! 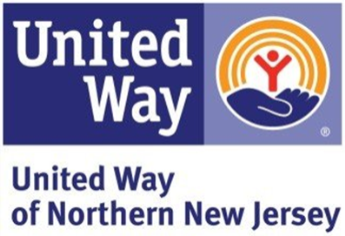 Partners for Health Foundation is grateful to both New Jersey Citizen Action and the United Way of Northern New Jersey for their efforts to secure more than $1.3 million in tax refunds to our community members through this EITC initiative during the past two years.